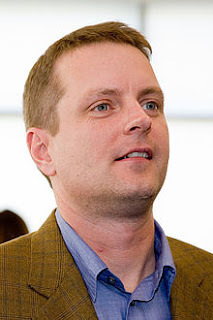 David Filo was born 20 April 1966 in Wisconsin, United States. He was one of the founders of the website yahoo. At age 6 he moved to Moss Bluff, Louisiana. He graduated from Sam Houston High School and earned a bachelor's degree in Computer Engineering from Tulane University, then received his MS from Stanford University. At the end of 1993, david filo continuing education Ph.D. program in Electrical Engineering at Stanford University. There, david filo The university acquainted with Jerry Yang. Through friendship with Jerry Yang, Yang began to love the filo surfing the internet, and spent long hours at the computer. As a result, they neglected learning activities. At the time of surfing activity, they are often difficult to find something they need in this virtual world. So in February 1994, they began to diligently collect the links to create an index on favorite web sites. This activity they did in the trailer on the campus of Stanford University. In a short time, they have spent more time making the links of your favorite sites in a doctoral dissertation that makes the middle of their path. Finally, a list of links from sites they have found that they make has become too long and too much, so they split it up into these categories. When the categories that did not meet, is also sub-subcategories. That was the beginning of the birth of the concept of creation Yahoo!. When first created, they gave the name of the site Jerry `s Guide to the World Wide Web, but the name is too long to name a site. Then after looking for a name that is considered good in the directories they create, they decided to use the Yahoo name, which stands for Yet Another Hierarchical Oracle Oficious. Filo and Yang chose the word tersbeut because they liked the general definition of the word, which comes from Gulliver's Travels by Jonathan Swift: "rude-strong-,-simple-unsophisticated, and uncouth-rough-). The initial goal of making the site as a tool to search for something on the internet or search engines. At first, they use it for personal gain. However, it turns out they then realized that they were offering the site index can be used by others as a first starting point along the website. Visitors to the site is even more numerous and extraordinary acclaim on the Internet. Knowing many people accessing the Yahoo!, so the they make it into a database that is organized and developed a kind of search engine software to run it. Since there is no capital, they take advantage of the university's computers for this activity. Data stored in the computer Jerry Yang who has the nickname "Akebono". Being placed in a computer search engines, air-David Filo nickname "Konishiki". Both nickname is taken from the names of famous wrestlers Hawaii their idol. In the fall of 1994, the site began to get hit a record 1 million visitors per day. That's what makes the university computer network infrastructure in a huge traffic burden. No wonder if university officials asking them to rent a server (hosting) out to run the "business" they were, in order to more freely again. Now, Yahoo! has become a global company engaged in the communications, commercial, and internet-based media. Every month there are 232 million Internet users worldwide who use Yahoo! services, ranging from search engines, portals, e-mail, online business, to manufacture and rental accommodation sites. Network Yahoo! is headquartered in Sunnyvale, California, USA has been established at 25 locations across continental Europe, Asia, Latin America, Australia, Canada, and of course the United States. In 2011, Wealth Filo estimated to be worth $ 1.4 billion, ranking 879 richest people in the world as a philanthropist, in 2005 he donated $ 30 million to his alma mater, Tulane University, for use in the School of Engineering. Filo is married to photographer and teacher Angela Buenning.